 QUALITY is our foremost consideration in selecting performances for the Miller stage.Performances shall be of professional caliber. While MTAB appreciates the crucial role that civic and emerging arts organizations play in the city’s cultural fabric, MTAB’s commitment is to present the finest, most professional performances available. We are committed to serving the many DIVERSE communities of Houston.Programs with cross-over, multi-cultural and multi-generational appeal are particularly encouraged. We support performances with BROAD, POPULAR APPEAL. The vastness of the Miller stage and audience area demands that MTAB select performances which will attract a sizeable audience, and support cultural tourism. MTAB appreciates the fact that many performances, while of a generally accepted “excellent” artistic quality, are nonetheless of a limited audience appeal. MTAB believes such performances should be presented in more suitable, intimate spaces rather than at a venue as large as MOT. Conversely, performances with an anticipated attendance of more than 6,000 per night would be more suitable for a venue larger than MOT. Performances at MOT shall be “family friendly” in content. We expect a high level of ACCOUNTABILITY.MTAB funds selected performances on the Miller stage, produced/presented by non-profit organizations who follow sound business practices, regardless of their budget size. MTAB expects Grantees to follow the rules and regulations of the grant process and of the theatre facility. Grantees not in compliance may face reduction and/or elimination of future funding. We fund programs that are COST-EFFECTIVE in audience reach.Although quality is the number one consideration for performances at Miller, MTAB also pays close attention to the program’s cost for audience reached by measuring “per capita” yield for MTAB funds. With considerations for weather allowed, a Grantee whose event’s per capita funding exceeds average per caps for similar events may find future funding reduced or eliminated. Also, while MTAB does provide marketing support in the form of the season calendar, the web site, and regular notices to the media, the responsibility for primary marketing of the event is with the Grantee. To review the 2019 Evaluation Criteria, click here. For Miller logos, click here. Applications for the 2019 season are no longer being accepted. Check back in May 2019 for further details on the 2020 season grant application process.